You are invited to submit up to 5 framed original works and up to 5 unframed works to exhibit in browsers. All work for hanging will be at £1.00 per item and at £0.50 per item for work in browsers. Entry Fees to be paid on hand-in day. Commission on all sales will be 20% of the sale price. Please fill in the form below. All applications will be acknowledged. In the event we are oversubscribed priority for display will be given in the order that the ‘intent to exhibit’ forms are received. Payment for Sold Works and Collection of Unsold Works will be on Monday 27h May between 4.30pm and 6pm – these times will be strictly adhered to. Framed work should be original work in a frame of good standard, unless the work is designed and intended to be hung un-framed (e.g. a box canvas). All Framed Works MUST be tightly corded or wired ready for hanging. Clip frames are not acceptable. Please fix a label on the back of every item to show the title, medium, price and your name and address. This is in addition to the labels we provide for exhibition purposes for hung works, these will be available for completion on handing in day. Every endeavour will be made to hang all work submitted but work which exceeds 22 inches x 20 inches may be queued and hung as space becomes available. Unframed Work for browsers can be original work or prints of your original, but not box canvases. A selection of work is preferable to four prints of the same picture. These should be cellophane wrapped and clearly labelled with title, medium, price, your name and indicating whether print or original. Whilst all reasonable care is taken, neither Cockfield Community Council, nor the venue can accept responsibility for loss or damage. It is therefore your responsibility to arrange your own insurance. Only Cockfield Community Council is responsible for hanging the exhibition, exhibitors are asked to please assist this process by leaving the venue as soon as you have handed in your works. 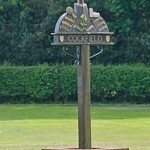 Cockfield Community Council is a registered charity raising funds for community projects.